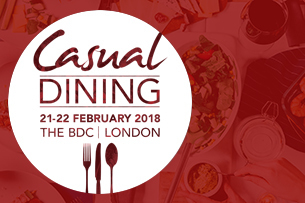 Next month sees the 4th running of The Casual Dining Show which is being held at The Business Design Centre in Islington on the 21st-22nd February 2018. Click here to register your visit and visit us on stand M338. The Casual Dining market is still the fastest growing sector of food service yet it is more challenging than ever. Various factors have contributed to rising food inflation, skill shortages and higher operating costs, coupled with a slow down in consumer spending, competition to attract the leisure pound has never been so strong. Now, more than ever, the focus on food quality and innovation needs to be at the top of the agenda. The UK consumer is a fickle customer and their expectations are at an all time high. The Casual Dining Show is a great place for us to showcase our latest products that help create a successful menus and ultimately, a successful business. As always, Serious Food are committed to showing you new and exciting ideas and this year is no exception. On a recent trip to the Emilia-Romagna region of Italy, Ben and Chris were instantly struck by the number of small street vendors selling piadinas. They are a round flat bread that’s traditional in that region of Italy. 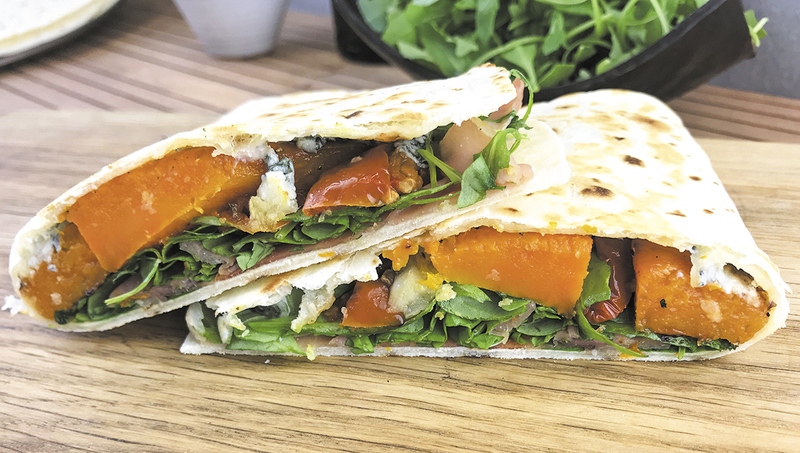 Each piadina was heated in a pan and filled with all the best ingredients Italy has to offer; from fantastic cheeses, cured meats, stunning vegetables, pesto, rocket, just about anything goes in a piadina, even Nutella. They tasted amazing and unlike any wrap or flat bread we had tasted before. The secret is the addition of lardo in the dough. Lardo is highly prized in Italy, it is pork fat that has been cured in brine with a mix of herbs and spices usually rosemary, cinnamon, juniper, nutmeg and sage. The flavour that the lardo gives to the piadina is heavenly, it gives the bread a wonderful, melt-in-your mouth texture. We couldn’t believe that this humble little flat bread could create such an impact. On a mission to bring this amazing Italian street snack to the UK, we met Gianni. Born and raised in the Emilia-Romagna, Gianni is utterly passionate about his traditionally hand-made piadinas and we are really excited to be able to offer them to you here in the UK. Whilst Paratha have been widely eaten throughout India, Pakistan and Nepal for centuries, they are still relatively under-used here in the UK. Paratha literally translates as layers of cooked dough and are such a wonderfully versatile flat bread. They make a wonderful alternative to the drab, doughy breads going under the name of Naans that get served with Indian curries across the UK. Also, you can stuff them with all kinds of fillings from tandoori chicken to spinach and potato and serve them with pickles and dips for a beautiful lunchtime snack or starter. We will be demonstrating our easy to cook Parathas at the show and will give you some brilliant ideas on how to use them.